Performing a full Shakespeare play is hard. 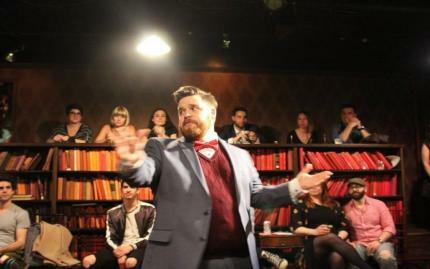 Performing a Shakespeare play while wasted is just as hard, however, so much more entertaining! Sit back and watch as 1 person from this talented team of actors take at least 5 shots of whiskey, then try to act out, let alone remember, one of The Bard's master works. The result is exciting, hilarious, passionate, and totally unpredictable. Like Macbeth said, Drink, sir, is a great provoker -- and provoke they will! 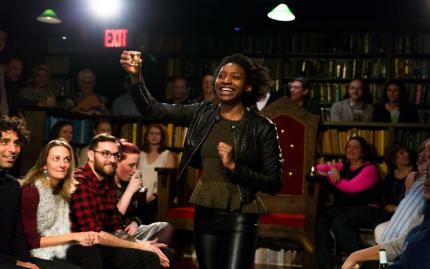 Prepare to be wildly entertained by professional drinkers with a serious Shakespeare problem.